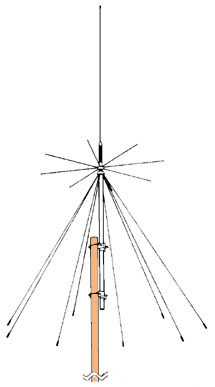 The Diamond D-130J discone antenna receives solid from 25 to 1300 MHz! It can also be used for transmit on 50, 144, 430, 900 and 1200 MHz ham bands (under 100 watts). The discone design offers the best performance possible in an omni-directional antenna. The D-130J is our most popular VHF/UHF monitor antenna. 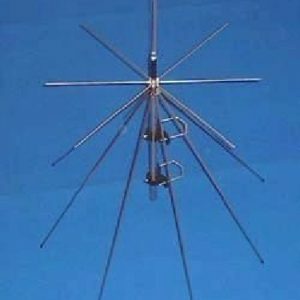 This stainless steel antenna is 5.5 feet (1.7m) high and attaches to any standard mast from 0.98-2.05 inches (25-52 mm) with two supplied U-bolts. The mast is not supplied. Weight is 2.2 lbs (1 kg).